A sermon for the first Sunday in Lent preached at St. Paul’s Church Bantam Connecticut by Christopher L. Webber. 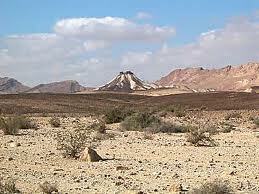 Four thousand years ago the Hebrews were a nomadic tribe wandering in the deserts of the middle east. All around them were people who were learning to be farmers: Egyptians, Babylonians, Canaanites who raised wheat and barley and melons and other good things to eat. And because they depended on the sun and the rain and the rivers, the soil and the seasons, and because these were not always favorable, these agricultural people prayed to the powers that they thought determined success or failure, abundance or hunger, and they made statues and images as a focus for their prayers. But the prophets didn’t give up; always there were prophets who insisted God is beyond all this and if this becomes an idol God can and will destroy it and God can even destroy you, the chosen people, if you turn to your own ways, because God is always beyond, always greater than we can imagine and God asks us to respond in a freedom that lacks the apparent security of walls and borders and images and festivals and buildings and laws. God is not limited by our constructions. God is free. And God calls us to respond in freedom giving ourselves without limit to the God who loves us without limit. Well, that’s what Lent is about: it’s a reminder that we are by origin a wandering, wilderness people with an unconfined God, a God who is free and calls us to freedom. Lent summons us to remember who we are and respond to that challenge. For forty days every year we are challenged to follow Jesus back out into the wilderness of our nomadic ancestors where there is none of the security of plowed land and settlements and walls and well-traveled roads. The Prayer Book speaks of Lent as a time of “special acts of discipline and self-denial.” It asks us to find out whether we can get along without the images and the idols – the things, the possessions, that give us a feeling of security. Can we put them aside and learn to live with God alone? All the old traditional disciplines of Lent giving up candy and movies and television – the images of Canaan and Babylon – are basically about that: how addicted are you to the local idols? how dependent on material things? what is it that takes the time you might have used for prayer or the energy that might have been used to help someone in need or to work to change a society that seems indifferent to the needs of others? It’s probably not something as simple as candy or computer games. It’s things that have become part of the very fabric of our lives and it will hurt to tear them out. The idols are where they are because we’ve learned to love them and depend on them and believe we need them. Lent asks us to focus on the question: who is your God? One of the old mystics used to say, “This too is not God.” It’s a good line to remember. “This too is not God.” I think some of the most divisive arguments in our public life, church and state, are about idols – not God. We still want our images, things to hold onto; we are still afraid of the desert. The church I served for twenty-two years followed the old English custom in Lent which wasn’t purple but monks cloth. You came into church on Ash Wednesday and the crosses and pictures were draped in simple sack cloth and it felt like spring cleaning – the visual distractions covered and a sense of simplicity and cleanness. The Russian Orthodox have a custom called pustina, which has to do with going into a bare cell, a room with four walls and no more, to spend a day or two days or more – with nothing to see, nothing to hold on to – sensory deprivation, I think might be the modern phrase, removal of distractions. And who needs some such practice more than 21st century Americans whose lives are so full and whose souls are so empty? Lent is a time to clean house, to be rid of idols and images and preconceived notions and start fresh. Now, let me ask you to look at it another way: You know, we speak loosely of the desert or wilderness, but years ago, when I was in Israel, we had a guide who took us down from Jerusalem to Jericho – down through the barren land where Jesus spent those forty days – and along the way he showed us a bright splash of green down the side of a steep cliff and he said it came from a break in a conduit taking water to an ancient monastery and he said it shows you that this is not truly desert but wilderness. There is a difference. Desert, true desert, he said, is where nothing can grow. Wilderness is where growth can take place if only it has water. When the spring rains come it bursts into bloom. When the aqueduct springs a leak, the barren land turns green. Think about that this Lent. Yes, go back out into the desert, get rid of the idols, but then ask yourself this: where I am, can anything grow? Am I in the desert of the wilderness? Go out onto the paved road outside the church and pour some water on it and watch for awhile. Probably that’s desert, not wilderness. Probably nothing can grow there. Try it in your office or place of work. Pour some water in a corner near your desk or work place and watch for a week or so and see what happens. Try it at home. Pour some water on the television set, maybe a quart or so every day for a week. Does anything grow? Does any life emerge? Did it ever? But it might do good things for you anyway if you water it well. I will guarantee that if you do that you will have a better social life, your thinking will clarify, and you will lose weight. But seriously, Lent is a time to ask whether I’m in a place where life can come or not: desert or wilderness: which is it? For all the visual richness of our society a lot of it is desert: dead as it can be and deadening to those who come there. But we are not like the wilderness plants; we can move; we can pick ourselves up and put ourselves in a place where life can emerge and develop – real life, the life of the spirit, life that can transcend even death itself. And we can carry that life with us and make things bloom where we are. I trust this church is such a place. I trust your home and place of work can be such a place. But it depends on what you bring to it from here, from the sacraments ministered here, from the Word of God read and proclaimed and taught here. I suspect that this community, the places you work in, the places you live in are wilderness, needing what you can absorb here and take there and capable of real life.